The oldest (born in 1860) was Alexander Hamilton, known as Hampy. Three of his brothers went to the exclusive Cheltenham College, but Hampy and Charlie didn’t. 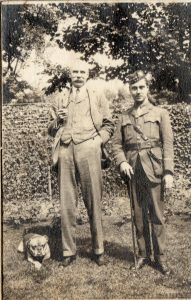 We’ve not been able to find out why, nor have we established where either of them went, but the 1869 letter from grandfather Hamilton to Hampy might give a clue. Father David has been away in Norway on business, and Hampy, together with his brothers and cousins, has recently returned from Rothesay. Grandfather has been looking after some pigeons for Hampy and says that father needs to get a birdbox made up at home to house them. He sends his love to aunts Sarah and Jane (the two unmarried aunts) and Chris (possibly Sarah’s younger sister visiting from Cork). Young Jane Bremner is known as Missy. It was a close, loving family. 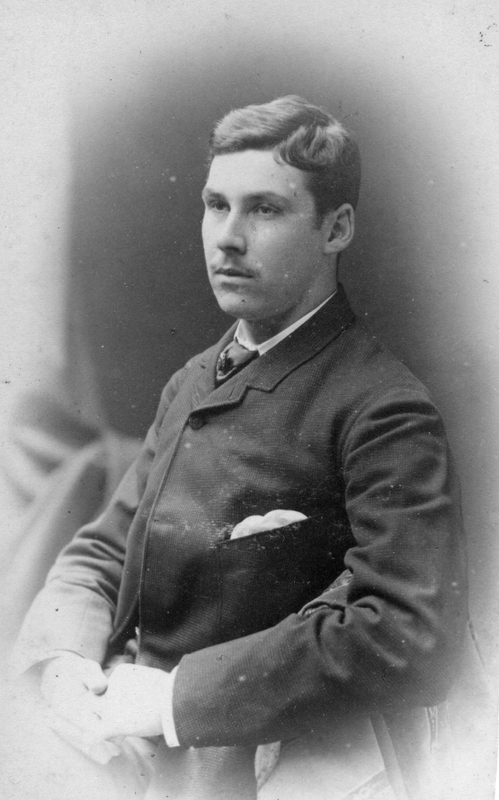 He was 6 ft 7 in tall, and in 1878 may have been amateur heavyweight boxing champion of Scotland, boxing on behalf of Glasgow University (Ian still has his medal). In 1881 he was a Commercial Clerk Shipper, and in 1888 he married Grace Raphael, who was petite—indeed tiny beside Hampy. He moved to Napier Lodge, Strathblane, north of Glasgow, and later 5 Cobden Crescent, Edinburgh, Scotland and became a stockbroker. We’ve found evidence of Hampy sailing to New York on a couple of occasions with his family. Presumably this was to meet up with one or both of his younger brothers in Canada. He also collaborated with both on business ventures. 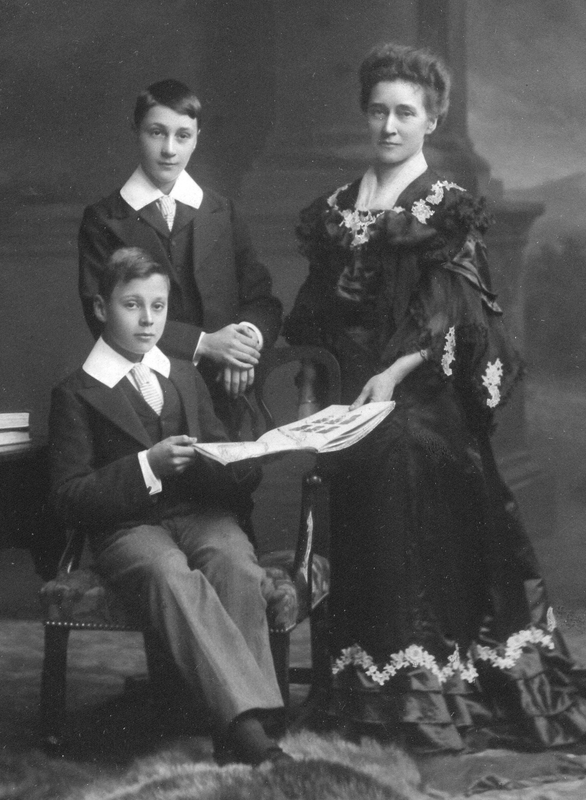 They had three children; David (b.1889), James (born 14 months later) and Frederick, who died in infancy. 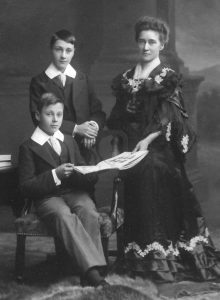 Hampy’s brother Frederick also died at age four—it was clearly not a lucky name for the Bremner family. The other two boys joined up in 1914; David was a 2nd Lt in the First Border Regiment, with whom he landed at Gallipoli in November 1915, and was at the first day of the Battle of the Somme (1 July 1916). 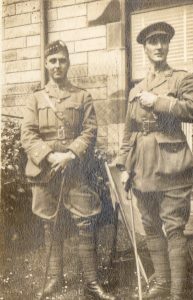 The regimental accounts mention David being required to lead a night raid a few nights before the big attack; it was called off because others arrived at the rendezvous too late. On the day of the big attack, the First Border Regiment were in the support trench at Beaumont Hamel at a point within the Newfoundland Park memorial and watched the South Wales Borderers in the front line being slaughtered (none got beyond the wire), before being ordered over the top themselves. David was injured, dying a week later. He was 27. There is no better description of the apocalyptic events of 1 July than in Birdsong , by Sebastian Faulks. David VI flew over the Newfoundland Park on 2 July 2016 in his 1916 Bristol Scout aircraft as flown by David’s cousin Bunnie, with David’s photograph in the cockpit. James joined the Fifth Royal Scots Guards and was killed at Poperinghe on 24 June 1917. They are all commemorated on the family memorial (Epsilon 265) in the Glasgow Necropolis. Strangely enough, he’s also commemorated on a memorial in Kennington, Ashford, Kent; we’ve been unable to trace any connection with this village. He’s buried in the Lijssenthoek Military Cemetery, Poperinghe, Belgium. Grave reference XIII.A.16. It’s impossible to imagine what a hammer blow it must have been for them, but it’s a sobering thought that a cousin in New Zealand—William Gordon Bremner—lost all three sons—one at Gallipoli in 1915, one in France in 1916, and the third in Palestine in 1917. 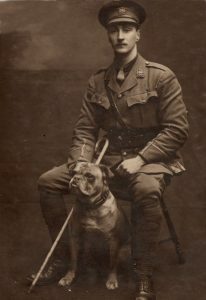 On his retirement, Hampy and Grace moved to Staplefield, Sussex, across the green from his younger brother Donald, where he died in 1934, Grace living on until 1942.